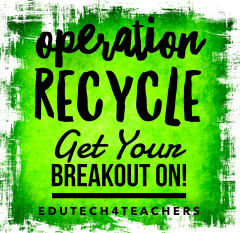 Edutech for Teachers » Blog Archive » Operation Recycle Part II: Get Your Breakout On! Earlier in the week I wrote a post about Operation Recycle, a brand-new Breakout EDU game I recently designed for our school’s sixth grade environmental field trip—one that was based on the importance of recycling. 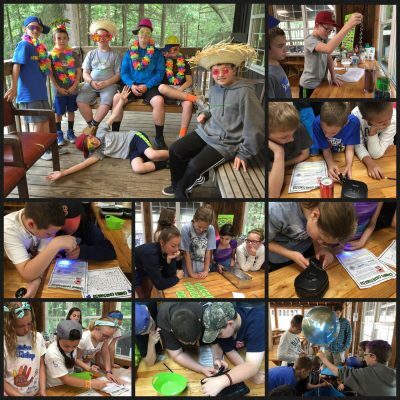 The Concept: With 50 minutes on the clock, teams of students were “locked” in Mr. T’s laboratory, a room filled with clues, puzzles, riddles and brain teasers. The goal was simple… Solve the mystery to get out in time—and save the planet! The Materials: Cans, bottles, locks, ransom notes, equations, a card sort, maps, puzzles, treasure boxes and more. The Players: Teams of sixth grade campers. 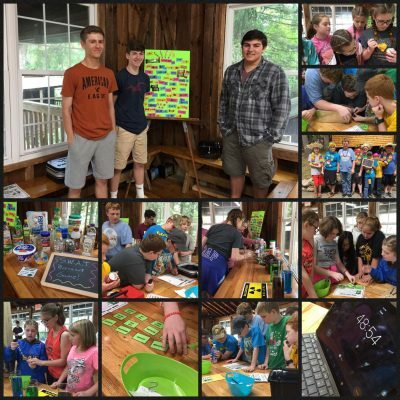 The Outcome: Students used logic, problem solving skills, communication and teamwork to “breakout” of our makeshift escape room… And had a lot of fun doing so! 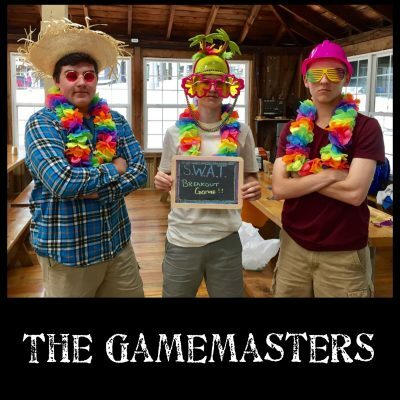 We unlocked the the fun… Only at Camp Kanesatake!